I write stories, set in exotic geographies, about people who have unusual, captivating and inspiring interactions with plants, gardens and landscapes…these stories are fiction about strange landscape journeys. These are stories for people who normally work hard, long hours and don’t have time for vacations, holidays or relaxing; but do have 5 or 10 minutes here and there…for ‘pop-up’ refreshments. This is the portal for my landscape stories, they are fiction. But they are real. A walk in the landscape is about unforeseen discoveries. I have worked for decades with gardens, landscapes and plants. I have learned there are exhilarating portals revealed via each of the different human physical, emotional, intellectual and spiritual interactions with gardens, landscapes, plants. 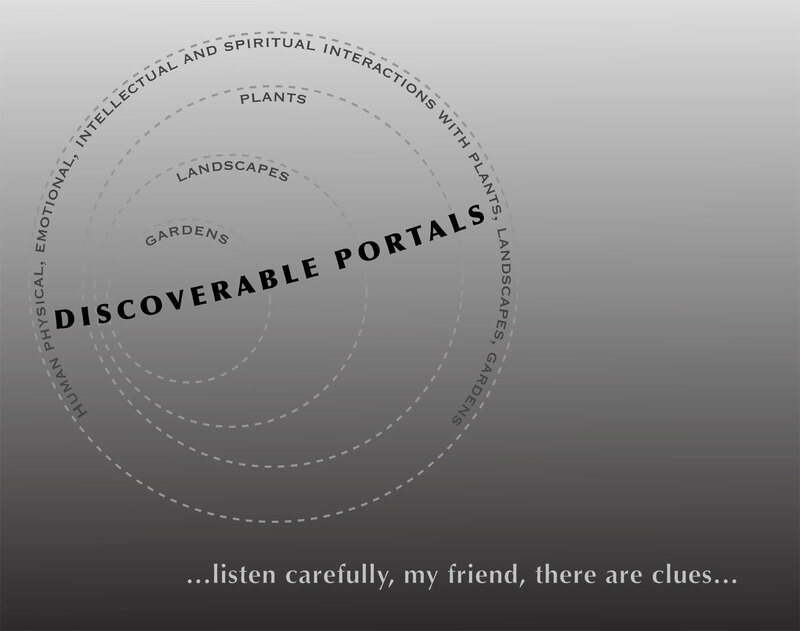 So, I write stories about gardens, landscapes and plants–stories with discoverable portals. There are four stories in development. Yellow Dreams–about a landscape architecture student doing a term abroad design study in Morocco. Crystal Vision–about an expatriate mid-career landscape architect, six years in the Kingdom of Saudi Arabia. The 23 Club–about a senior landscape architect, headhunted to fix a failing five star destination resort in the desolate core of the Arabian Peninsula–that lifeless sand desert known as the Empty Quarter. The Orient Espresso–about an ethnobotanical scavenger hunt in Austria, Turkey, Russia and Switzerland through unusual gardens and landscapes.